Bloom Time and Color: Medium blue flowers with bright yellow centers bloom from mid summer to early fall. 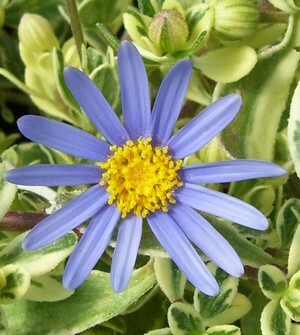 Description: This old-fashioned garden standard is a true-blue daisy with a yellow center. Very beautiful, it is capable of sprawling and mounding to considerable size, covered all over with blooms. It blooms all summer long and is is still in bloom at October's end. In warmer areas it will bloom year-round. Usually grows under two feet tall. 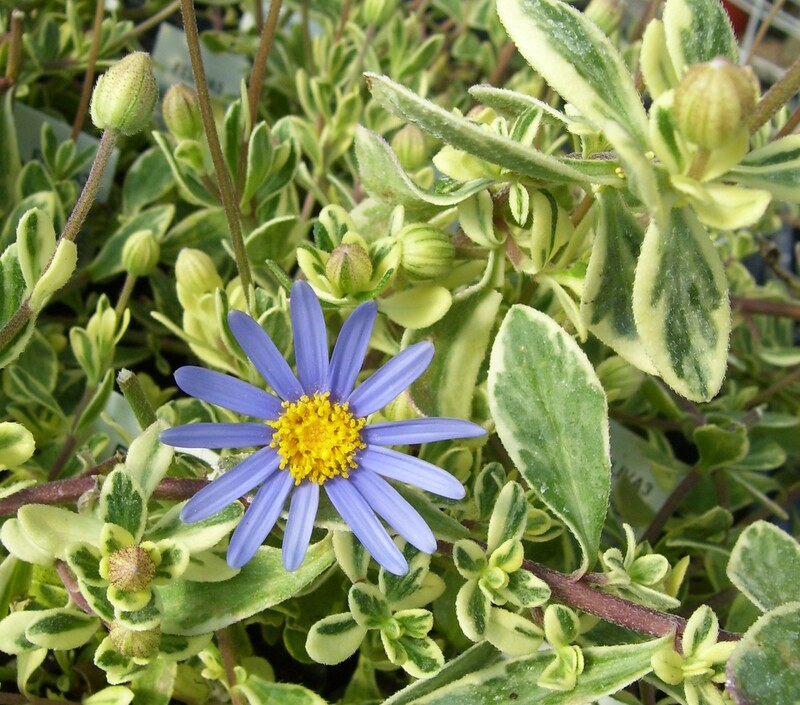 The foliage of Blue Marguerite Daisy is also variegated with green and white.